It's mine & Mr C's 20th Wedding Anniversary today. Heaven only knows where the last 20 years have gone but one thing is for sure, I wouldn't have wanted to spend it with anyone else. 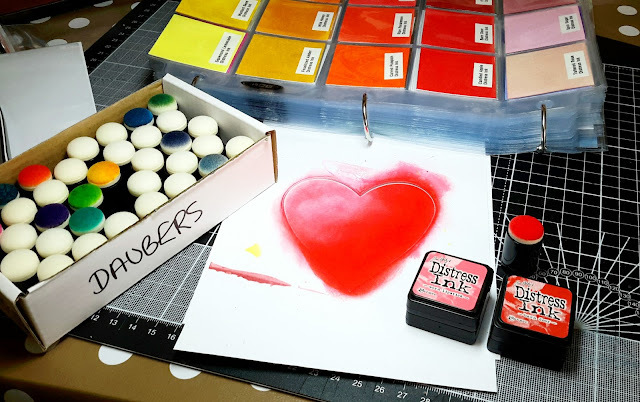 For my card I made a heart-shaped mask from a MFT heart die and used Worn Lipstick & Barn Door distress inks to colour before flicking some water droplets for that touch of je ne sais quoi. 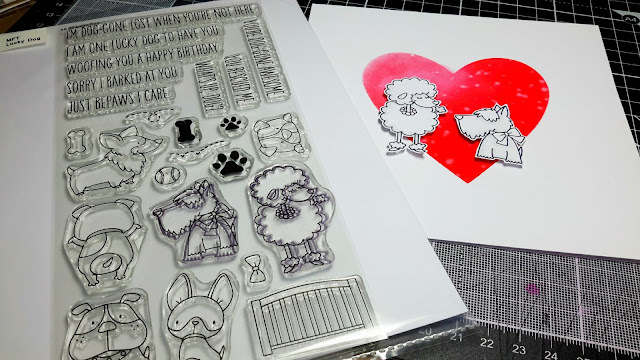 I fussy-cut two of the pooches from the brilliant Lucky Dog stamp set from MFT (coz we're now doggy-mad) and added them to the card. The sentiment is from Clearly Besotted's' A Little Sentimental' stamp set. Fabulous fun card! Congrats on your anniversary! Happy Anniversary Jane, I hope you and Mr. are doing something really nice to mark the occasion. Say your bridal photo on FB and thought how lovely you both were. 20 years, fabulous! Happy Anniversary. 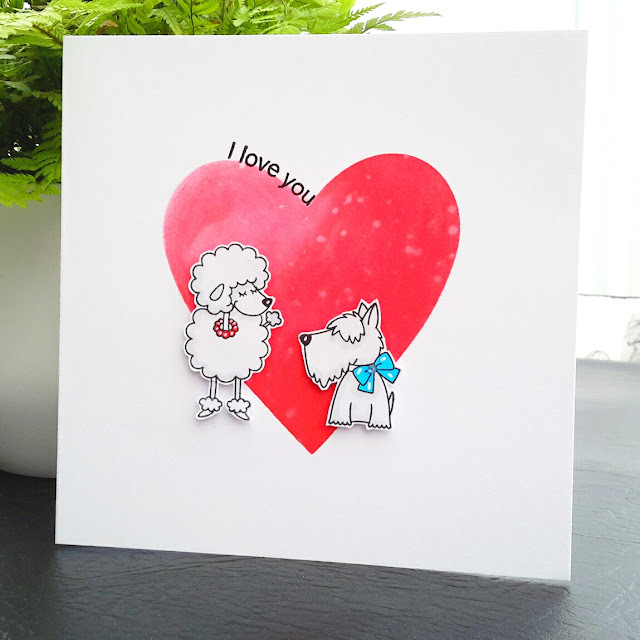 Love this card...ooooh that heart means BIG love and if it has a dog on it, I'm gonna love it. Just love your card and love you too! Happy Anniversary and many, many, many, many, many more!